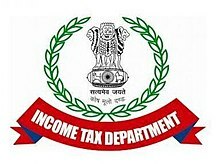 Income Tax Department Jobs Recruitment Notification 2018.Income Tax Department of Bengaluru inviting applications for the positions of Sports Quota, Inspector, Tax Assistant, MTS.Interested and Eligible Candidates can apply for the positions. Number of vacancies need to be filled in Income Tax Department of Bengaluru, Karnataka is 50. Look around for “Income Tax Bengaluru Recruitment 2018 for Sports Quota, Inspector, Tax Assistant, MTS Posts“.